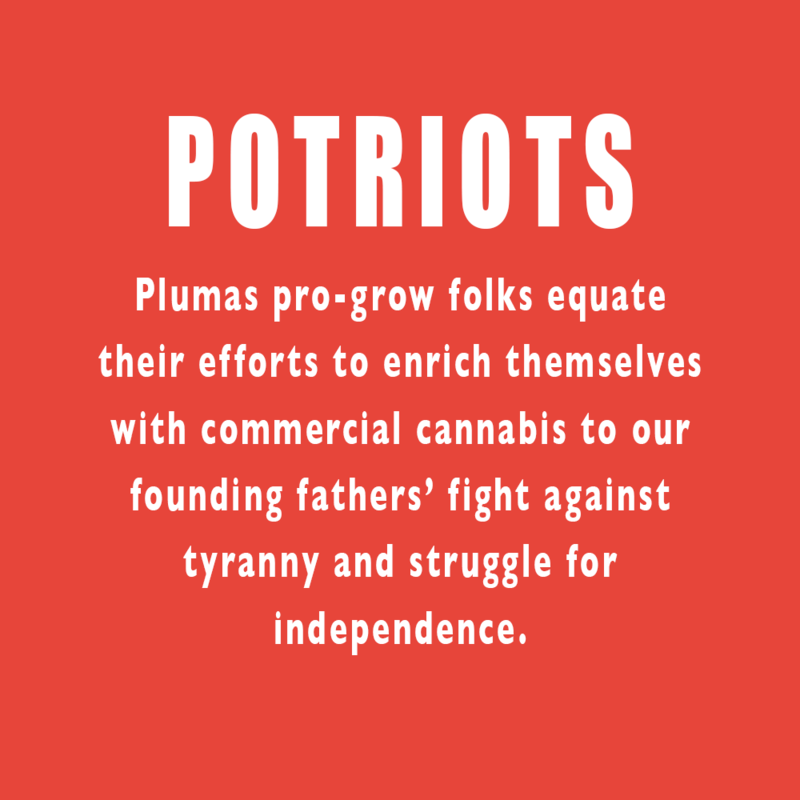 Who’s the prince in our Plumas cannabis debate? Who are the tyrants? The BOS? The CGRCO? By the way, the final Declaration of Independence was written on parchment, not hemp. One or more of the working drafts may have been written on hemp, but there’s nothing raggedy about the document. What is raggedy is the misappropriation of an essential passage to push something the majority of our founding fathers would not support. It’s silly and a slap in the face of real patriots who resisted genuine tyranny. As for the first claim about changing history: How did pro-commercial cannabis folks change history with a ballot initiative? Perhaps the grower means that they made history. It would take quite a trip to change it—or a time warp. Ben Franklin and Thomas Jefferson would be proud? Franklin’s drug of choice was opium, and his overriding concern would have been for the common good of many—not for the self-interest of a few. Jefferson was into hemp, not cannabis. Yes, he would’ve applauded bringing our issue to the vote, and he’d respect the will of the people, but proud and smiling from the heavens? Don’t be silly. Speaking of misappropriation, several commercial cannabis freedom fighters have rattled a warning that originally likened messing with the American colonies to walking on rattlesnakes. In this misapplication, “Don’t tread on me” doesn’t make a lick of sense because we’re all Americans and rattlesnakes are part of our shared California experience. When it comes to medical marijuana and caring for patients, we’re with you. When Prop. 64 passed in November 2016, some of us were caught up in the “Spirit of ’16.” However, let’s remember that our state, which routinely champions individual liberty over the common good of its citizenry, wisely empowered its counties and municipalities to regulate commercial cannabis activity. There is no right under the warm Golden State sun that ensures your ability to enrich yourselves with commercial cannabis in Plumas County. You are right about your right to pursue your cannabis business dreams via the ballot, but please don’t drag our founding fathers into it. I hate to break it to you, but the majority of them wouldn’t be on your side anyway. If you lose in November, it won’t be because you were deprived of any rights. It will be because the majority of voters put the welfare of Plumas and its people over your self-interest. If you think otherwise, you’re higher than Ben’s kite. Rather than play pretend with high-sounding proclamations of their supposed support, let’s stick with our century, our leaders, and our cannabis issue. Leave the lofty and silly to those who don’t know their nation’s history or the character of its founders.